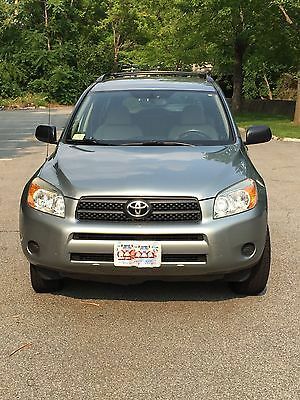 2013 Toyota RAV4 EV EV Sport Utility 4-Door 2013 Toyota RAV4 EV, fully electric, 37k miles, extra clean!!! Normal 0 false false false EN-US JA X-NONE Yes, this vehicle was originally owned by mega film director/producer/environmentalist James Cameron, from 2002-2004. This RAV4 EV has been very well taken care of. The main battery is still in excellent condition. The car gets around a 75-90 mile range depending on driving, road, and weather conditions. Comes with large paddle charger. 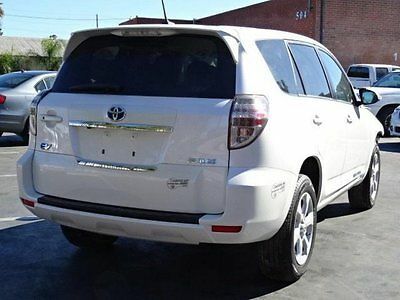 This model includes heated seats, heated front windshield, CD player, A/C, power mirror, doors, and windows. Clean title of course I also have a set of brand new rims and tires as pictured. I can include these for an additional $500 if needed. 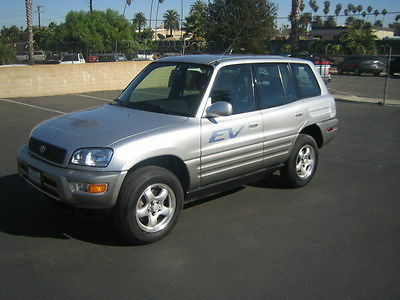 This Rav4 EV is in incredible condition. There are no issues with the car. The battery is still in excellent condition. All of the maintenance is up to date. Batteries are in excellent condition. It can get around 80 miles range per charge depending on how it is driven. 102k milesClean titleElectric windows and doors CD playerHeated seatsIncludes the 220v charger station It has the white HOV carpool stickersSimilar range as a Leaf, but in a more spacious vehicle. A fraction of the cost of a new Rav4 EV. This vehicle has been driven a care full 164,385 miles since new. There are no dents and no tears in the upholstery. Transmission was just replaced. There are no leaks under the car. Tires are very good. There are 17 inch alloy 5 spook wheels . All in good condition. There will be a $500.00 good faith deposit . The remaining balance due at pick up in a form of a bank check or cash. 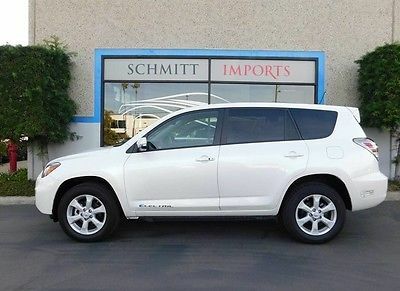 Symbolic Motor Cars of Riverside is proud to offer up this rare find, a one owner Toyota Rav4 EV Electric vehicle, this vehicle is in excellent condition, 58,057 original miles, this could become a very collectable car as for only about 325 cars we're sold in 2002! Non smoker, garage kept, paint is in excellent condition for year vehicle. Tires are about 60%. interior shows very well, the original carpet is in excellent condition having used original EV floor mats it's entire life. This Southern California car has no rust, it's been in Southern California it's whole life. Automatic transmission, power windows, power door locks, factory AM/FM cd radio, original window sticker of $42,596.00 with owners manuals, extra set of new clean air vehicle access stickers included. Factory alloy wheels are in great shape, one shows small curb rash about 1 inch but minor. 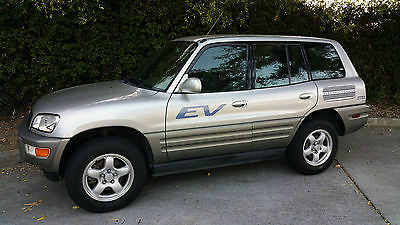 The original owner says the vehicle will go around 60 miles on current original batteries, right now the car runs great, it has about a third charge to it, we can't charge the vehicle due to the fact we don't have the chargers hooked up at our dealership. Winning bidder will receive 2 charging systems thought the original owner says the one in the box is not working correctly but might be repairable. We have a starting price of $17,900.00 or best offer on this rare find. California buyers will pay tax. lic. 50.00 doc fee. Vehicle has May of 2015 current California registration. Out of state buyer will pay only selling price, no other fees will apply except for there own state and local fees. 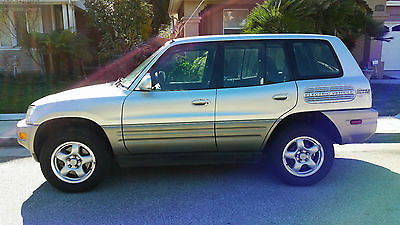 If you would like more info on this vehicle call Bob at 951-505-2726. 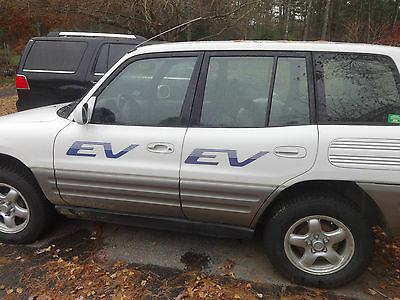 More info below The Rav4 EV was originally created as a fleet vehicle for businesses—and only became available for purchase by private car buyers in 2002. The EV, available at just 25 California dealerships, were quickly scooped up by eager electric car buyers. Eight months later, Toyota closed its EV program—having sold about 325 RAV4 EVs to individual buyers. The other 1,000-plus units, like General Motors’s ill-fated EV1, were unfortunately crushed when Toyota claimed it couldn’t sustain its electric vehicle program.